A plumbing emergency can be a scary thing, especially if damage is being caused to your home and you have no idea what to do about stopping it. Plumbing emergencies can take many forms, for example, if water is pouring from a burst pipe or the roof above you. Water damage can be extensive, so your first reaction might be to get an emergency plumber in Leicester out as soon as possible. Of course, in an emergency, it’s vital to call a professional plumber out straight away, when something clearly catastrophic occurs. But before you reach for the phone, it’s important to be able to recognise what is and isn’t an emergency and if there’s anything you can do yourself to help deal with the plumbing issue. This way you might avoid the cost that comes with an emergency callout and be able to put measures in place to stop the problem in its tracks before it causes further damage. For example, let’s get back to the burst pipe scenario. The first thing to do is turn off the main water supply and power supply to the hot water heater. The water mains stop tap is normally found where the water supply enters your house, for example, through the cupboard under the kitchen sink. While this isn’t a long-term solution, at least it will stop more damage from occurring while you look for the root of the problem. It’s handy to ensure every adult in the household knows where the main shut off valve is so that they can stop water from causing further damage before the problem can be fixed in the longer term. If you can then pinpoint the exact place where the pipe has burst, it might be that you can turn off the specific supply to that pipe, without having to shut the water off completely. This means you can book a plumber to come out when they can, rather than having an emergency callout. If, however, you can’t find the source of the problem, this is when things become an emergency. Boiler checks and repairs are vital for preventing problems in the first place, but when boiler problems do occur it’s important that they’re dealt with safely and correctly. With a leaky gas water heater, you should always be able to turn off the power source as well as the water supply, as the build-up of pressure from lack of water can lead to an explosion. Remember, if you can’t turn off the power, or worse, if you ever smell gas, this is most definitely an emergency. And finally, one of the worst kinds of plumbing emergencies is when a drain blockage causes sewage to be backed up. In addition to the incredibly unpleasant nature of this, it is also a health and safety risk. As we mentioned above, it’s important to know how to shut off your water at the mains when needed, as well as knowing where the shut offs for specific pipes are located. This can be done by turning the valve clockwise. If your water heater is a gas one and you need to shut the water off completely, including the supply to your water heater, make sure you also turn the gas supply or water heater power off to avoid the build-up of pressure in the system. With regard to leaking pipes, see if you can stop up the water leaking from them by using towels or tape on light leaks. If this doesn’t work, use buckets to catch the water before it causes further damage. In addition, try and say calm and think logically, as panicking can often make matters worse. 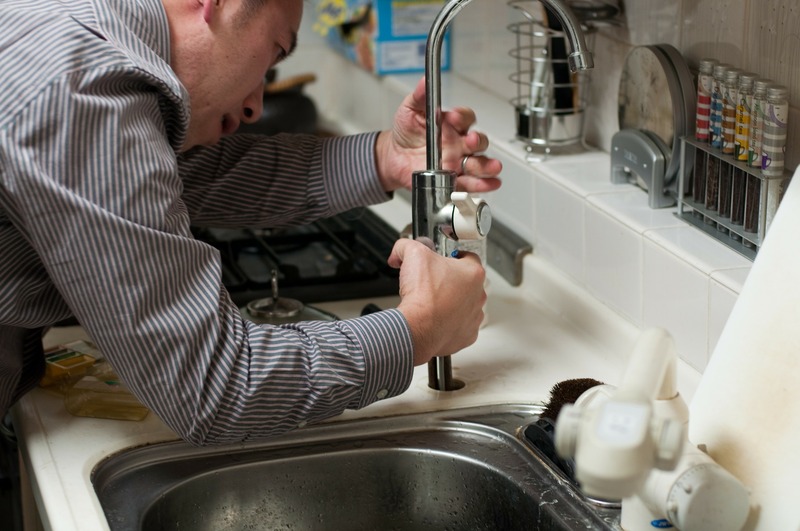 If you need an emergency plumber, our team are always on hand to help. Contact us today for further details. This entry was posted in Plumbing on 31st May 2018 by Taylor Pickering.